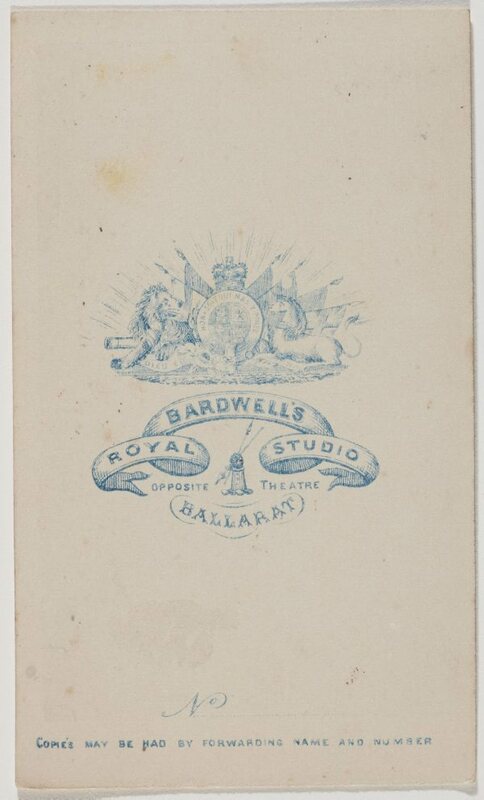 William Bardwell was a professional photographer with a successful business in Ballarat and Melbourne. In Ballarat he formed a partnership with Saul Solomon in 1859 and together they exhibited photographic portraits at the 1862 Geelong Industrial Exhibition and the 1863 Ballarat Mechanics Institute Exhibition. 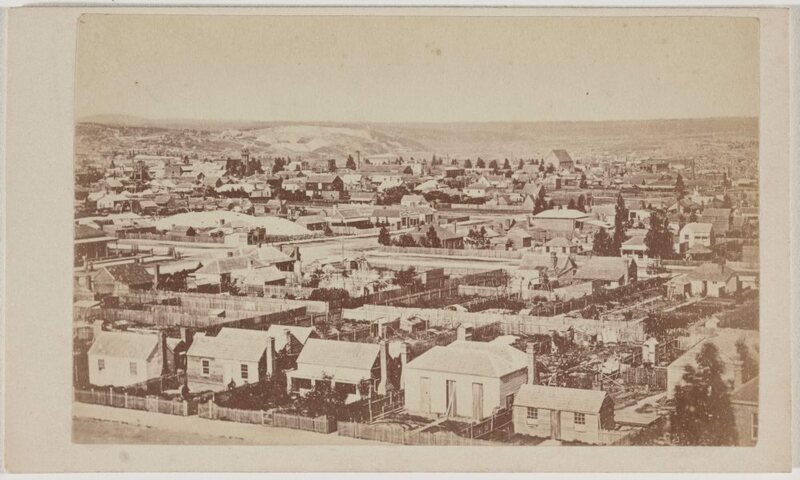 It seems Bardwell was fond of using unusual vantage points: in 1863, the ‘Argus’ reported that he had photographed the ceremony of the laying of the foundation stone of the Burke and Wills memorial in Sturt Street from the roof of the Ballarat Post Office. ‘Bardwell established his own studio in 1866, which included rooms for ladies and gentlemen to prepare themselves for the lens’. 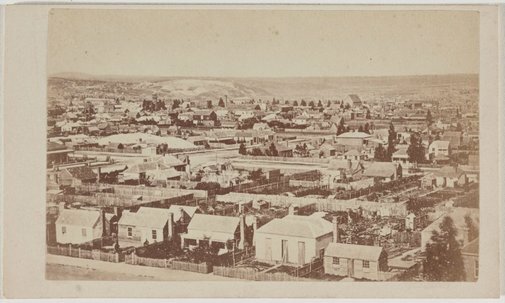 He showed photographs of Ballarat at the 1870 Sydney Intercolonial exhibition (for sale at £6), and ‘a photographic panorama of the city of Ballarat’ as well as other photographs of its buildings and streets in the Victorian section of the London International Exhibition of 1873.